Hi HerStry Readers! It’s been a couple months. I’ve missed you, and I’ve missed getting to tell you about incredible women from history. If you’ll indulge me for a moment, I’d like to tell you what I’ve been doing instead of sharing stories: Nothing. I’ve been working. And doing some travelling. And getting back into my yoga routine (will I ever be back into it? I feel like I’m perpetually trying to get back on track). Other than that, I just haven’t been writing. I’m sure many of our readers are well aware of how fickle inspiration can be, just as I’m sure our readers understand how frustrating it is to be blessed by the goddess of inspired writing at 1:00am when you have to get up for work in just a few hours. Last week, I sat in my house crying to my boyfriend because I was jealous of his dedication to writing and because I thought I wasn’t a writer anymore. I sincerely felt that maybe it was just time to give it up. I thought that maybe I should just email Julia and let her know that the Amplify column will only ever have 4 stories. Of course, I didn’t do that. I feel an obligation to continue writing, and I think that urge is something that will always allow me to identify as a writer. To HerStry readers & our fearless founder Julia, I’m sorry I went MIA this summer and I will work to be better - the women of our collective history deserve to have their stories amplified. Alright - you’ve heard enough from me. On to the main event: Susan La Flesche Picotte, a Native American superwoman. In 1865, La Flesche Picotte was born to Chief Iron Eyes (Joseph La Flesche) and his wife, One Woman (Mary) in northeastern Nebraska, in a tipi (1,4). Her father was Chief of Omaha Nation, but he felt that the Omaha people would only survive by assimilating to white culture (4). She attended school on the reservation until she was fourteen years old and was then sent to the Elizabeth Institute for Young Ladies in New Jersey to help her assimilate (1). La Flesche Picotte was called a “cultural broker” because she grew up in a mostly Western way, but still held on to the traditions of the Omaha people (4). Every superhero has an origin story, and Susan La Flesche Picotte’s (we’re just going to call her Susan moving forward) motivating moment happened when she was just eight years old. Susan was sitting in the home of an older Native woman and watched her die. The family of the woman attempted to get a hold of the white doctor over and over again. Each time, the doctor promised he would come aid the dying woman, and each time, he didn’t show up. The woman took her final strained breath and died in front of eight-year-old Susan (2). It was in the moments following that Susan realized this woman died because of her heritage and Susan vowed to do what she could to make sure this never happened again (2). Throughout her life, Susan saw more medicinal injustices inflicted against her people and her family. Her father lost his leg due to an untreated infection, and her brother died in his infancy (3). After graduating from the Elizabeth Institute for Young Ladies, Susan returned home to Nebraska to teach at the Quaker Mission School on the Omaha reservation (1). It was there that she met and cared for the health of ethnologist Alice Fletcher, who urged her to continue her schooling on the East Coast. She enrolled at the Hampton Institute (now known as Hampton University) in Virginia, a school that was founded by Samuel Armstrong to educated free slaves, to begin her medical education (3). At the Hampton Institute, Susan met resident physician Martha Waldron, who encouraged her to apply to Woman's Medical College of Pennsylvania (WMCP), the school that Waldron graduated from. Susan applied and, with the help of her friend Alice Fletcher (again), was able to secure tuition support from U.S. Office of Indian Affairs and the Connecticut Indian Association, making her the first Native person to receive financial aid for higher education (1). Susan finished the three-year program a WMCP in two years, graduating at the top of her class in 1889 – thirty-five years before Native Americans would be recognized as US Citizens (2). I want to pause here to take a moment to reflect on the magic that is women supporting other women. Alice Fletcher and Martha Waldron encouraged Susan to continue her education. They recognized her talent and her passion, and they cheered her on. Not only did they encourage her, but they also helped her. Imagine if Fletcher or Waldron hadn’t said anything at all! PSA: Love the women in your life and fiercely support their passions. Susan spent one year in Philadelphia after graduating from WMCP for an internship, and then returned to Nebraska yet again. When she returned, she immediately applied to be the reservation doctor but was initially turned down, so she took a position at a nearby school. By late 1889 though, she was offered and accepted the job of reservation doctor, meaning she would care for the Omaha Nation, spread over thirteen hundred square miles (2,4). It is reported that Susan turned down many prestigious job offers over the years, staying loyal to the community she so passionately served (2). Her office was a 12x16 building, and Susan was only paid $500/year, which was ten times less than Army and Navy physicians were making at the time. When the government ran out of supplies for the reservation, she spent her own money to make sure she could still take care of the Omaha. It took her some time to gain the trust of the Omaha, because by this time they had grown accustomed to white doctors on the reservation, but once they accepted her, the Omaha and their white neighbors came to Susan in droves (4). Susan was overworked; it was not uncommon for her to work twenty-hour days for weeks on end. Susan’s health deteriorated so much so that she was bedridden for almost two months in 1892 (4). In 1893, after many more health issues (including being thrown from a horse which prevented her from speaking at the World’s Fair in Chicago), Susan resigned from her practice. This decision was made in part due to her declining health, and in part to take care of her ill mother. While she was tending to her mother, Susan met Henry Picotte, her brother-in-law’s brother. The two quickly fell in love and were married by 1894 (4). She opened a private practice in Bancroft, Nebraska where she served whites and non-whites alike (1). The last twenty years of Susan’s life were just as full as her first thirty. She and Henry raised their two sons, until Henry died in 1905 (3). Henry struggled with alcoholism, and eventually died from drinking while battling tuberculosis (4). After his death, Susan became a Presbyterian missionary to the Omaha Nation and negotiated with the government on behalf of the Omaha Nation. In 1906, she led a delegation in Washington, D.C. to lobby for prohibition on reservations. For the rest of her life, Susan continued to practice medicine when her health would allow. In 1913, two years before her death, Susan was able to open her own hospital in Walthill, Nebraska and complete a life-long dream. On September 15, 1915, Susan La Flesche Picotte died at the age of fifty from what many speculate was a degenerative bone disease (4). The funeral for Susan was held at her home in Walthill. Her yard overflowed with the hundreds of people she had treated over the years. Three priests gave eulogies, and an Omaha tribe member ended the ceremony with a prayer in the Omaha language (4). Susan’s hospital was declared a national landmark, and starting in 1988, yearly festivals are held in honor of her memory. Susan is buried next to her husband, and the Dr. Susan La Flesche Picotte Memorial Hospital currently serves as a museum and a drug and abuse treatment center (1,4). Dearest HerStry readers, I leave you with my invitation for feedback. Suggestions, criticisms, questions, corrections - I want it all! I’m trying to help educate the HerStry community on the badass women of our past, but I still have a lot to learn myself. 1884: Enrolled in the Hampton Institute in Virginia, a school established by Sam Armstrong for freed slaves. 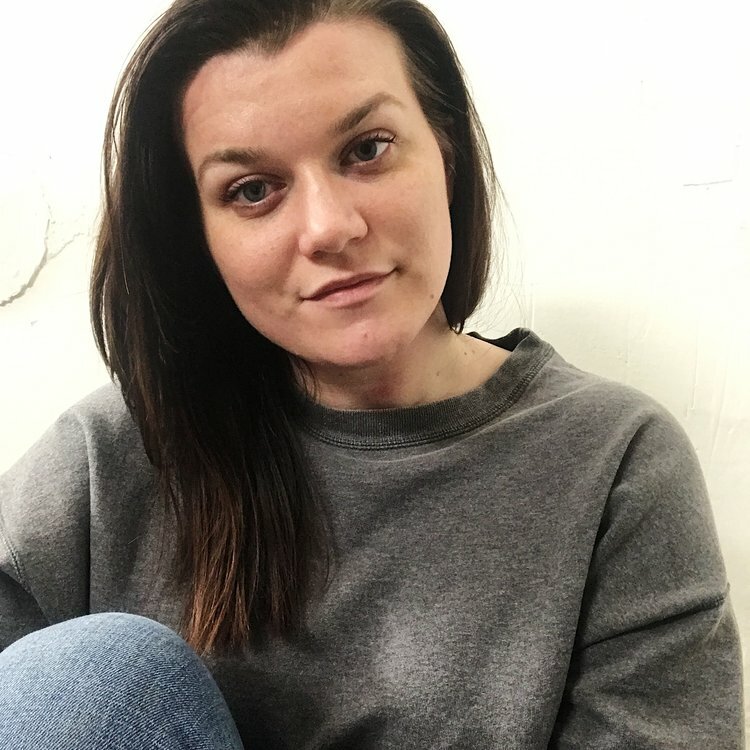 Ashlee Christensen lives in Pittsburgh, PA. She is an Illinois native - grew up in the Chicago suburbs, went to school at Augustana College in Rock Island, IL, and lived in the city of Chicago up until 2015. In June 2015, she packed up with her partner and moved to the city she has absolutely fallen in love with, Pittsburgh! When she's not at work, she can be typically be found in yoga class, working on the next edition of AMPLIFY, cuddling with George the cat, or enjoying trying to figure out what next home improvement task she is going to take on. Follow her nonsense on Twitter: @trashleeinpgh.